Dr. Berk's research interests include: molecular biology of renin-angiotensin-aldosterone system; regulation of endothelial cell function especially by shear stress; the role of oxidative stress in vascular biology and the genetic mechanisms of vascular remodeling. Dr. Berk has published widely – more than 250 articles, chapters, and books. Dr. Berk is Professor of Medicine, Cardiology, and Pharmacology and the Senior Vice President for Health Sciences at the University of Rochester. Dr. Berk received his M.D. and Ph.D. degrees from the University of Rochester. He has served on the faculties of Harvard Medical School, Emory University, and the University of Washington. Dr. Berk was previously Chairman of Medicine (1999-2006) and Chief of the Cardiology Unit (1998-2003) at the University of Rochester. In addition he was Director of the Aab Cardiovascular Research Institute. Dr. Berk is a fellow of the American Heart Association and the American College of Cardiology, and a member of the Association of American Physicians. Dr. Berk is past-president of the North American Vascular Biology Organization (NAVBO). He is Consulting Editor for Circulation and Circulation Research and is on the editorial boards of ATVB and the Journal of Clinical Investigation. He serves on the Empire State Stem Cell Board Funding Committee and the National Heart, Lung and Blood Institute (NHLBI), Stem Cell Clinical Trial Network and Gene and Cell-Based Therapies Data and Safety Monitoring Board (DSMB). system; regulation of endothelial cell function especially by shear stress; the role of oxidative stress in vascular biology and the genetic mechanisms of vascular remodeling. Dr. Berk has published widely – more than 250 articles, chapters, and books. 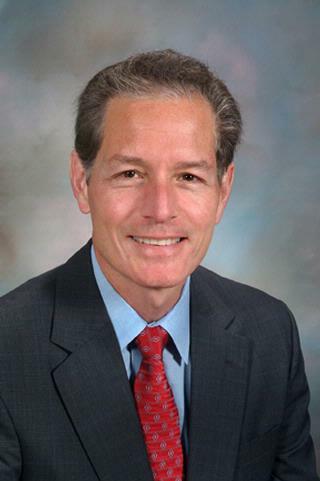 Bradford C. Berk, M.D, Ph.D.
Dr. Berk's laboratory is known for studying signal transduction mechanisms in the vasculature, focusing specifically on defining the mechanisms by which cells in the vascular wall respond to hemodynamic and hormonal stimuli. The four major research areas ongoing in the laboratory include 1) Mechanisms by which blood vessels sense changes in blood flow using protein kinases as targets for signal events. Using cultured endothelial cells and animal models of altered blood flow two projects are underway. The first project investigates the mechanisms by which flow activates the Big MAP kinase (or ERK5) and inhibits inflammation and atherosclerosis. In the second project, the redox-dependent mechanisms that maintain an antioxidant environment are being studied using the apoptosis signal kinase-1 (ASK1) and thioredoxin as targets. The goal of these projects is to identify signal transduction events that confer atheroprotection in the setting of steady laminar flow as opposed to the pro-atherosclerotic effects of disturbed and turbulent flow. 2) The cellular mechanisms that cause hypertension are being investigated by analysis of the role of the renin angiotensin system and the kinases that regulate intracellular sodium. The regulation of smooth muscle cell growth by angiotensin II is focused on the activation of intracellular kinases and phosphatases by the angiotensin II receptor. 3) The mechanisms by which changes in cellular redox state alter blood vessel function are being studied to provide insight into the ways that reactive oxygen species regulate vessel function. Specifically the role of the chaperone molecule cyclophilin A as a mediator of vascular pathology is being studied with several different transgenic models. 4) A genetic model of vascular remodeling in the mouse has been established. A carotid flow reduction model has been characterized and is being used to identify genes responsible for impaired flow-dependent remodeling by positional cloning in inbred strains of mice. Xue C, Sowden MP, Berk BC. "Extracellular and Intracellular Cyclophilin A, Native and Post-Translationally Modified, Show Diverse and Specific Pathological Roles in Diseases." Arteriosclerosis, thrombosis, and vascular biology.. 2018 May 0; 38(5):986-993. Epub 2018 Mar 29. Xue C, Sowden M, Berk BC. "Extracellular Cyclophilin A, Especially Acetylated, Causes Pulmonary Hypertension by Stimulating Endothelial Apoptosis, Redox Stress, and Inflammation." Arteriosclerosis, thrombosis, and vascular biology.. 2017 Jun 0; 37(6):1138-1146. Epub 2017 Apr 27. Heo KS, Berk B, Abe JI. "Disturbed Flow-Induced Endothelial Proatherogenic Signaling Via Regulating Post-Translational Modifications and Epigenetic Events." Antioxidants & redox signaling.. 2016 Sep 1; 25(7):435-50. Epub 2016 Apr 05. Edited By: Xu Q., Eds. Edited By: Brenner BM; Rector FC, Jr.
Edited By: Abrams J., Eds.